We are working to a budget of £300,000 to build the Community Hub annex to the church and fit it out with kitchen and toilets as a high quality addition to Droxford’s heritage and a lasting benefit of all in our community. Already we have committed funds of £225,000, 75% of the total required, and we are appealing now for the remaining 25%, £75,000. We have won grant support from the Heritage Lottery Fund, Hampshire County Council, Garfield Weston Foundation and South Downs National Park Authority, and have raised funds by events, donations and pledges from the village. This has enabled us to fund the professional fees (including archaeological investigations) necessary to get us to this stage, as well as laying the foundations to ground level. We are seeking pledges for £75,000, but the money pledged will not be collected until we have sufficient promises to be confident we can complete the construction of the annex to the church. We estimate that we need to receive pledges of £55,000 in order to proceed to the construction phase. In exchange for your pledges we would like to give your generosity lasting recognition. A contribution of £50 will enable the donor to have their name in a book, should they so wish, a donation of a £1000 means their name will go on a board in the new Church annex. We have madesignificant progress during the long dry summer. Our contractor has completed the foundations and laid a reinforced concrete slab to support the superstructure. The north chapel has already been prepared for transformation into a community room, and the planned volunteer-run Café. Tenders have been issued for the superstructure and are currently being evaluated. Construction will pause while we appeal for the funds to close the gap. 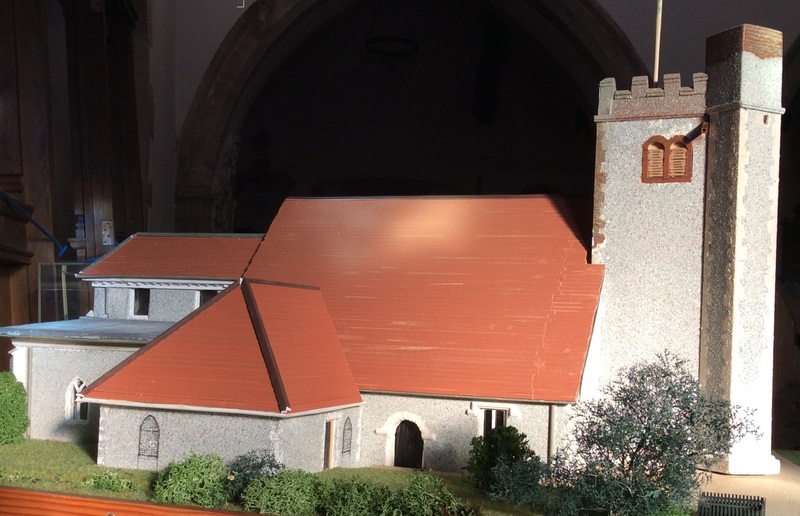 Follow the progress of this Appeal by visiting our website Friends of Droxford Church or liking our Facebook page. Donations can be made through our My Donate page which is accessible from the website, or Google ‘Droxford Hub Donate’ .